We just received an email from an app developer who has created an app that will change Android lives forever. 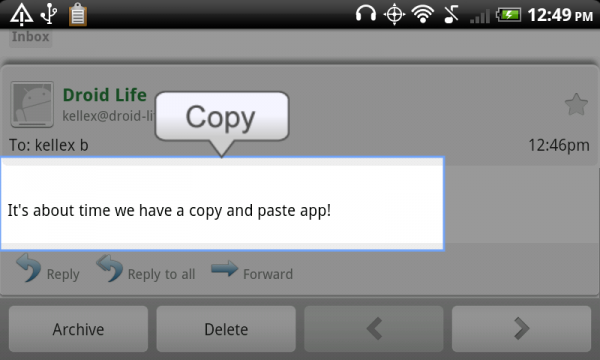 A copy and paste app! 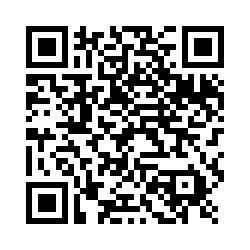 And yes, it even works in Gmail! I know, I know, HTC’s Sense lets you copy and paste some stuff, but it doesn’t even go as far as Gmail awesomeness. The app is called Copy Paste It. So how does it work? It takes a screenshot of your current screen and then allows you to select specific text with a resize-able box and then copy whatever you’ve selected to the clipboard. It even lets you select words on images! I’m telling you, this is epic. Trial and $3.99 versions available.